Top-notch React Native Application development company in India, USA delivering excellence through stunning, robust, cost-effective and highly functional cross-platform mobile applications. Why to opt for React Native for iOS & Android App Development? Hire dedicated React Native developers from Let’s Nurture, a top IT offshore development company providing the best React Native app development services. Our custom React Native development services deliver results much faster with swift and efficient development cycle. We follow client centric approaches to deliver react native mobile app development services that can accelerate your business growth with apps closest to native Android and iOS versions. React Native app development team at Let’s Nurture is well versed in all React Native tools like React native Expo, VSCode, ESLint, Flow, Enzyme and Reactotron; frameworks like Snowflake, Ignite, Nativebase; and libraries such as React Navigation, MobX and Animatable. The biggest reason of the popularity and prominence of React native app development is the delivery of the cross-platform applications which are closest to native Android and native iOS app performance in terms of identical stability and fluidity. React Native is an open source platform which allows developers to access and implement numerous libraries to use them in APIs with no issues. 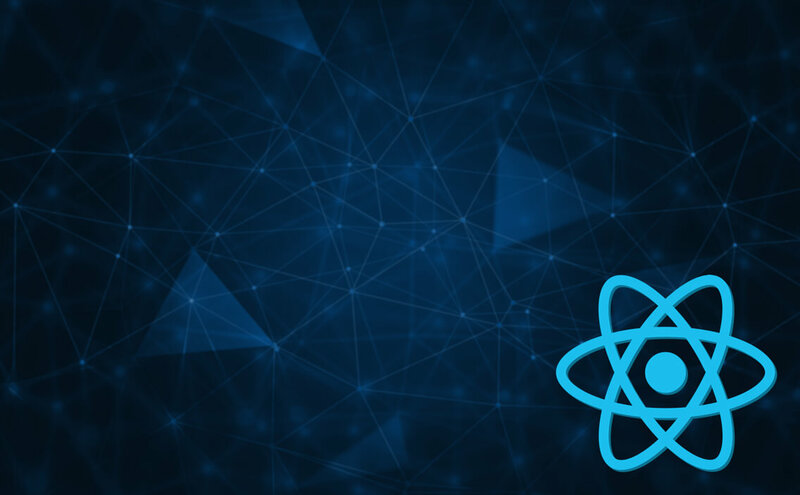 An open-source library of pre-built components in React Native greatly speeds up the process of mobile app development. Being in the stage of an advancement, React Native platform might not have a few components compared as of now in its core framework. To overcome this limitation, React Native platform allows support of two plug-ins, JS modules and Native modules. React Native development allow developers to make Live updates on-the-go. This eliminates need of App Stores update approval. Perhaps the most loved feature, Live Reload, allows React Native developers to see the changes on live web/app screen whenever they make any. It is one of the biggest advantages to make changes in the source code while reviewing the results on the screen instantly. Hire dedicated React Native Developers who have developed numerous robust React native apps using this powerful open source JS framework ever since its existence in 2016. Agile methodology based React native application development process helps in minimizing the risks while ensuring transparency within project development cycle. We work with the clients to have thorough knowledge about the app idea, goals and vision. We perform the strategic consultation to carry out detailed documentation with features. Our UI/UX designers will deliver platform specific UI designs. Our master coders will deliver glitch-free UX which is the reason for app popularity. Every code developed for React native app development project is kept secure and remains in-house. The code is shared to the clients only and is never outsourced to anyone. It is the actual phase where the live development starts where our React native developers code the application and respective server side components. Expert QA team takes your application for automated and manual tests. Thorough checking/ recording is performed from screen-to-screen to ensure optimum UI/UX. We help our clients in deploying react native apps on respective stores to make them live along with full responsibility from listing details to app submission. We provide Annual maintenance Contract (AMC) and support services with React native app updation and upgradation to be compatible latest OS versions. Why choose Let’s Nurture for React Native App Development? Let’s Nurture is an award winning ISO 9001:2015 certified top React Native App Development Company in India, USA, Canada, Australia and Singapore. Having catered global client for numerous mobile app development projects in various industry domains, there in-house React Native developers possess unparalleled skills having mastered all the React Native tools, libraries and frameworks to deliver a powerful and fully functional application that matches a native Android or iOS application, in less time with significantly less development cost. What are the advantages of React Native development over PhoneGap and Cordova? The fact that React native applications are the closest to native development in terms of UI/UX and functionality, Cordova and PhoneGap apps fail to match that often. Our expert React native developers and consultants prefer and recommend our clients to go for React Native development to have a robust, powerful and fully functional React Native application at affordable prices. What is the engagement model to hire dedicated React native developer or a team? Our clients can hire dedicated React native developers through various engagement models. We provide flexibility to hire React native developers on hourly, part time and full time basis. We also provide staff augmentation services for a requirement of React Native development like onsite staffing, offshore staffing and nearshore staffing. Please brief about the key highlights of your React Native Application Development expertise. We are the best React Native or Cross-platform App Development company having hired certified React Native developers who are master-coders and experts in working with React Native framework, tools and libraries. Hire our React Native development team means an assurance of having a powerful, robust, best-in-class cross-platform application with optimum UI/UX at best prices. Though we can use the same code, our mobile app design and development teams create separate layouts for both, Android and iOS platform to deliver the best feel which can come closest to native app development. We provide end-to-end React Native Development services that includes ideation, design, architecture, prototyping, development cycle, quality testing and deployment with utmost care. Will your React Native development team will work with our onshore developers if needed? Yes, we provide flexible models for hiring dedicated React Native developers which work and co-ordinate with your onshore developers for specific project requirements if needed. Our React Native developers will also visit regularly if needed. How do you protect confidentiality and privacy of our business and React Native app development project information? Hey! I am interested in acquiring React Native development services from you but I am not sure if it is legal to use offshore development firm?